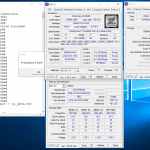 Overclocking Memory is always interesting as you have to figure out where to draw the line, so I decided to have a safe preset of voltage that I would be comfortable recommending for most users for an everyday PC. In order to ensure no damage to I/O components like IMC or iGPU I limited VCCSA to 1.30V while VCCIO I limited to 1.25V., with VDIMM topping at 100mv over XMP (1.45V). 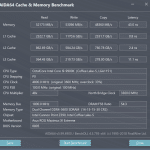 This is to ensure a “worst case scenario” weak CPU will not be degraded over time or at least I have hopes it will minimize the effect or impact on the internal components. I know that many kits can shoot way higher by allowing loser regulation on this aspect (i.e. higher voltage) but this could sacrifice long term performance and longevity. Here we have the 4000MHz results we see that the bandwidth is good and higher than the tighter timing option we see below. 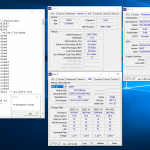 the memory hit 4000MHz with full stability at the XMP timings 16-18-18-36 while using 1.45VDIMM. Here we have the 3600MHz with tightened timing, this we wanted to see how far we could push the primary timings with the XMP speed of 3600MHz. Much to my surprise, we were able to tweak them down to 14-15-15-30 with the same 1.45VDIMM. 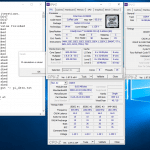 This is a pretty good result and as you can see while it does not beat the 4000MHz bandwidth result, it definitely shines in real performance which in my opinion is where it counts. These are some decent Samsung B-Die IC’s and I am sure with a cold IMC these could probably go much farther if pushing for heavy benchmark runs. 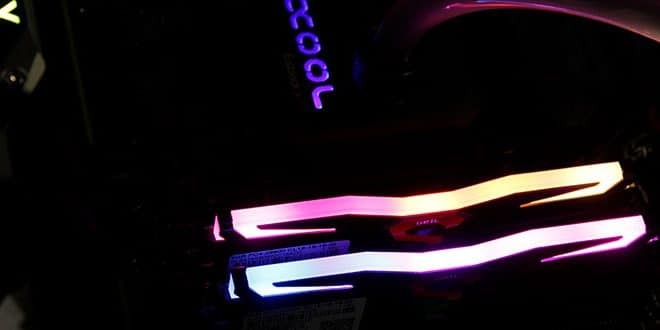 But for everyday performance being able to tighten them up this much is really good and I could not complain as you basically can get much higher binned performance with very little work as long as all of these GeIL Super Luce RGB kits are using the same quality ICs. Now that you know how they run, how they clock and can be tweaked, I guess its time to pull this train into the station.